We strive to provide clients with the best possible service through ethical & excellent business practices. Based out of Chehalis, Washington, RG Construction, Inc. has been in business since 2003. 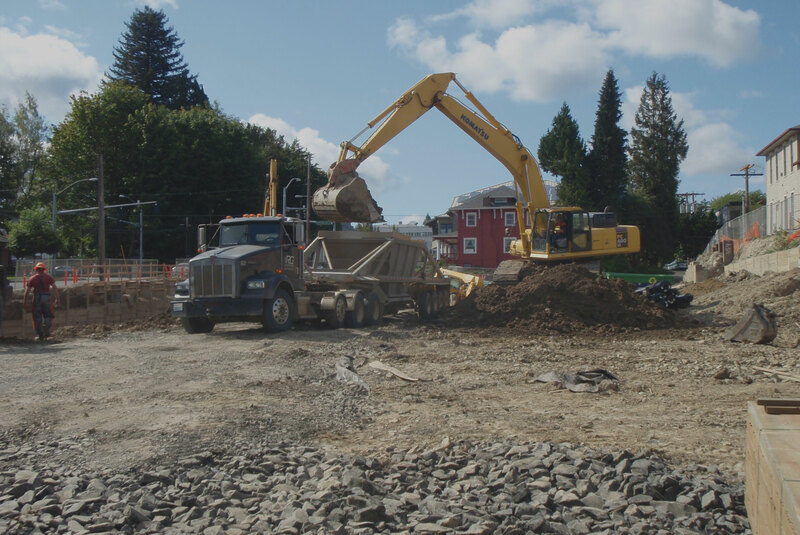 As a successful earthwork and utilities company, RG Construction, has experienced steady growth and has a well-established reputation within our community. From the beginning, our company has repeatedly proven itself to be a reliable contractor that employs hardworking and experienced employees, both in the field and in the office. Each employee works hand-in-hand as a team member in assisting our clients in design, build and completion of each project. We own and maintain our own equipment and employee is field and safety trained. As of January 2014, RG Construction, Inc. has seen some new and very exciting changes. Fred Hicks, former superintendent, puchased the company and remains committed to preserving existing client relationships and building new, long term relationships through proven reliability and hard work. While the ownership has changed hands, the values and business practices have continued at the same high caliber clients have come to expect. RG Construction knows how to manage a project both efficiently and effectively. We have consistently met project deadlines and strived to finish projects both ahead of schedule and below budget. RG Construction company has built an excellent reputation with our customers, subcontractors and suppliers for being a fair and trustworthy organization built on honesty and integrity. Our proactive approach ensures that clients have accurate estimates allowing them to make the best decisions to optimize projects. Jared Trodahl has been in the construction industry since he was 15 years old where he worked for his father’s paving company North Fork Construction out of Chehalis WA. Jared was a laborer, equipment operator and truck driver. In 1995 Jared Trodahl was hired by George Gill Construction out of Chehalis WA where he was a laborer, equipment operator and truck driver working on various sites working his way up to the role of foreman. Jared helped construct projects such as the Rite-Aid stores in Centralia, Chehalis and Lacey, Fred Meyer Warehouse in Chehalis, Demo of the Chehalis airport runways and dirt fill for what is now the Twin City Town Center to name a few. In 2001 Jared went to work for RG Construction as a project Foreman where he worked his way to become the estimator in 2004. Some of the projects Jared bid and was awarded: Marine View Ventures, Panorama Skilled Nursing, WSECU Headquarters, Hadaller Road Slide Repair, Van Dyke Road, Love’s Truck Stop Fuel Tanks and The Ridge Motorsports Park. Jared earned his “degree” by working in the field which helps greatly when bidding and managing projects because he knows the true means and method of install which can’t be taught in a book. Jared and his wife Alicia have three children and live in Chehalis, Washington where he enjoys camping/traveling with his family and golfing.